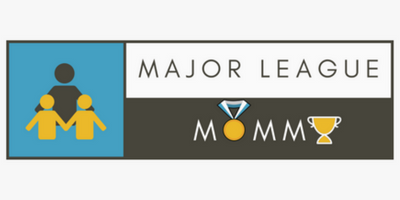 Us Moms are no stranger to sleepless nights. However, we know how important it is to get an adequate amount of rest. Thankfully there are soothing sleep products crafted with us in mind. 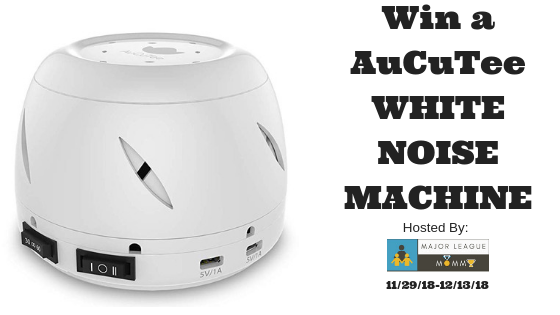 Enter to win in the Sleep Peacefully With AuCuTee White Noise Machine Giveaway before it’s too late. Good luck! 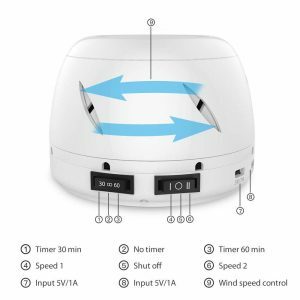 We have so far had a pretty good experience with our AuCuTee Classic White Noise Machine. Prior to purchasing this product, we would play music on the TV for our girls (ages 4 and 7) to help them fall asleep. We would then turn the music, and the TV, off once the girls had fallen asleep. Unfortunately, they would awake in the middle of the night only to find that there was no music; this resulted in them having difficulty falling back asleep. We had discussed for a while getting a white noise machine to eliminate that issue. We finally took that leap of faith and got ourselves a white noise machine. So far, the girls have been sleeping very well with it. I found that they are falling asleep much quicker, and are better rested in the morning. Thank goodness! I highly recommend. Check out more details below. The Classic White Noise Sound Machine masks unwanted, and disruptive noises, that would otherwise prevent you from falling or sleep or remaining focused.